So, you are about to deploy Windows 10 in your organization, that sounds like a great plan. Before you start I do have some recommendations when it comes to joining them in your domain. Yes, I strongly recommend you to do this. When working with customers I see a lot of “-We have 850 GPO settings that we used for XP, should we apply the same for Windows 10?” and the the answer is of course NO!!!! Instead you create a new OU and start over, this is your chance to cleanup that mess. For most customers it turns out that you need just a small number of settings for Windows 10 computers, since most is already correct. Also, you might use ConfigMgr and are starting use the policy in there instead or shifting into MDM. Just have a blank and blocked OU for your Windows 10 computers until you have figured out exactly what you need to have. 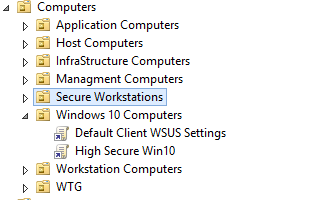 after that, you might want to move computers back, use WMI filter or re-arrange your OU structure. A separate OU has been created for Windows computers. What policy’s should you have? This is a discussion I have with every customer and over time I have learn to explain this. I usually divide all settings in to four different categories and the simple rule is that if you cant tag your policy in any of these four categories, don’t use it! Branding is important from many aspects, one is that the user often sees a non branded device as their “own”, while a branded computer belongs to the company and this also reflects they way people treat the device. As a first step, you need to have some kind of strategy around Security, there is not really any value in locking down a computer to insanity, while the user is a local admin anyway. As a first step use Security Compliance Manager 3.0 plus the draft for Windows 10 Security Settings (and final when that arrives) to determinate a baseline. The new template files for SCM and Windows 10 (draft). Download the ADMX and ADML files for Windows 10. The PolicyDefinitions folder in the correct location. 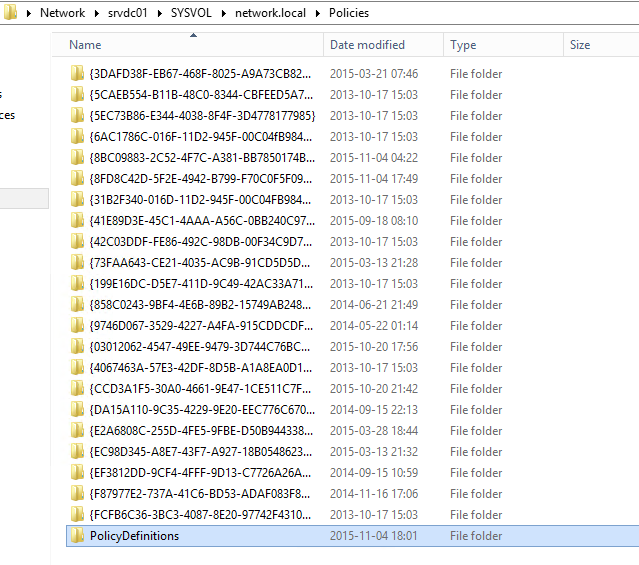 If you hade any custom policy files, copy them from the PolicyDefinitions.old to PolicyDefinitions to get them back. The reason I do this is because there are some policy’s that has been changed and instead of picking them out, it is easier to just rename the old folder and upload a new folder with correct policy’s. Note: this does not change ANY existing policy’s at all.When you create anew policy the Policy Editor will start using the new templates, that’s all. 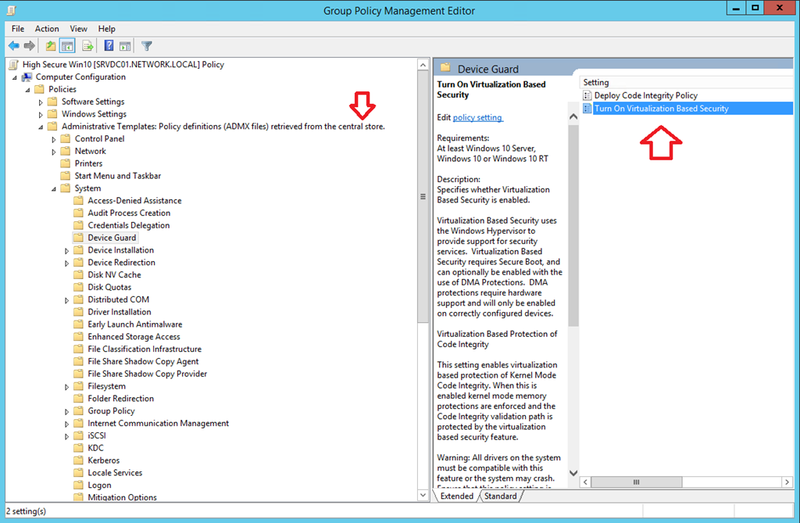 To verify that you have the correct policy’s in place, just open GPEdit and create a new policy and browse to a new setting you don’t have before. Here you can see that the template is fetched from Central Store and that I can Configure Device Guard that is a feature of Windows 10.